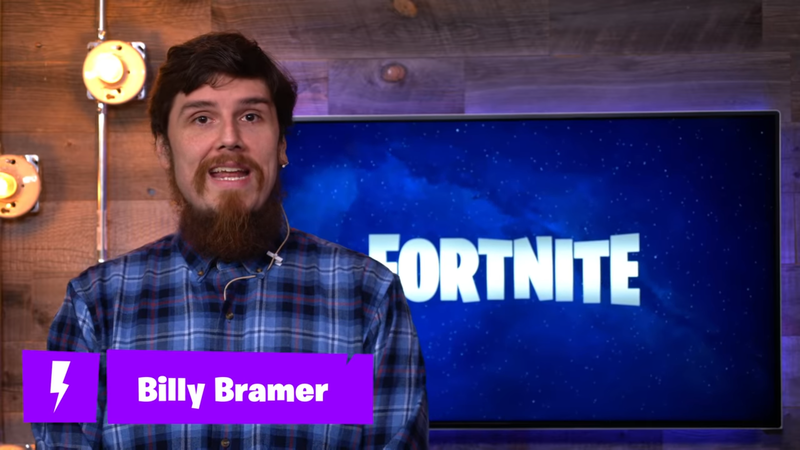 Billy Bramer and his beard have returned to issue Epic's first formal Fortnite Save the World Dev Update of 2019, and while little new information was actually disclosed in the video, there were some encouraging tidbits. The new "Hero Loadout" system, which will replace Save the World's existing hero management systems, is "not quite ready for prime time yet," Billy says. "Right now, we're focusing on making heroes each have a unique perk you'll be able to combine in fun ways to customize your play style." Considering how many dozens of heroes there are in Save the World mode, we can see why this might take some time. "It's almost all fully functional," Billy continues, "so we're play testing it and making improvements to make it easier to understand and use." No time frame was given for when players might expect the new Hero Loadout system to be implemented. Meanwhile, Billy assures that Epic takes the AFK epidemic in Save the World seriously, and that development is working on improving its automatic detection systems. "With some new changes, players who are not contributing to public matches will receive a warning message on their screen, before being automatically kicked out of the session if they don't shape up. This should be coming in a future build, and will be a work in progress, so we look forward to your feedback." Epic also recently corrected a bug that prevented players from receiving notifications when someone they'd reported was successfully actioned, as well as an issue that prevented AFK reports in Frostnite missions from being "properly considered," whatever that means. Billy also said that Epic has "recently increased the severity of repeated infractions on some of the reporting categories." And lastly, 2018's Lunar New Year Hero and Weapon Llama will return to the item shop on February 7, and will be available for Frostnite's snowflake tickets. Since these llamas aren't sold for v-bucks, they're except from Save the World's recent X-Ray Llama change.